CAVITE CITY—August 3, 2018. 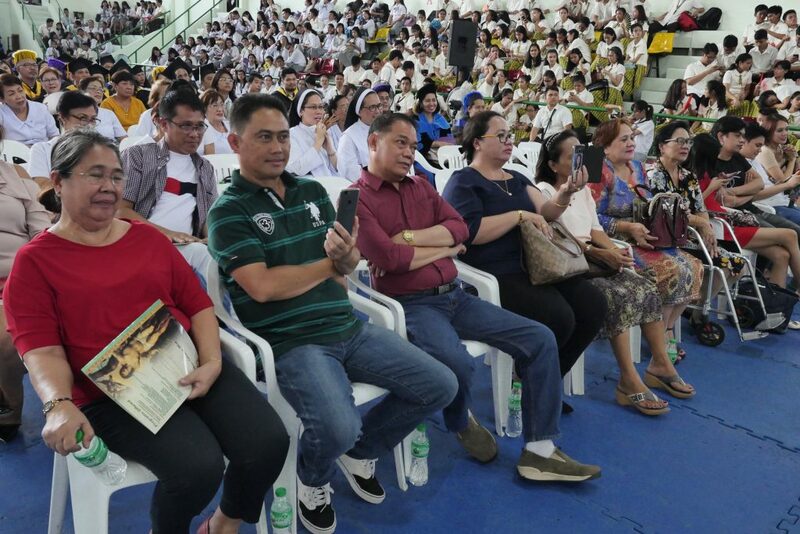 San Sebastian College-Recoletos de Cavite celebrated the Investiture Rite of the 15th College President, Fray Rafael B. Pecson, OAR. 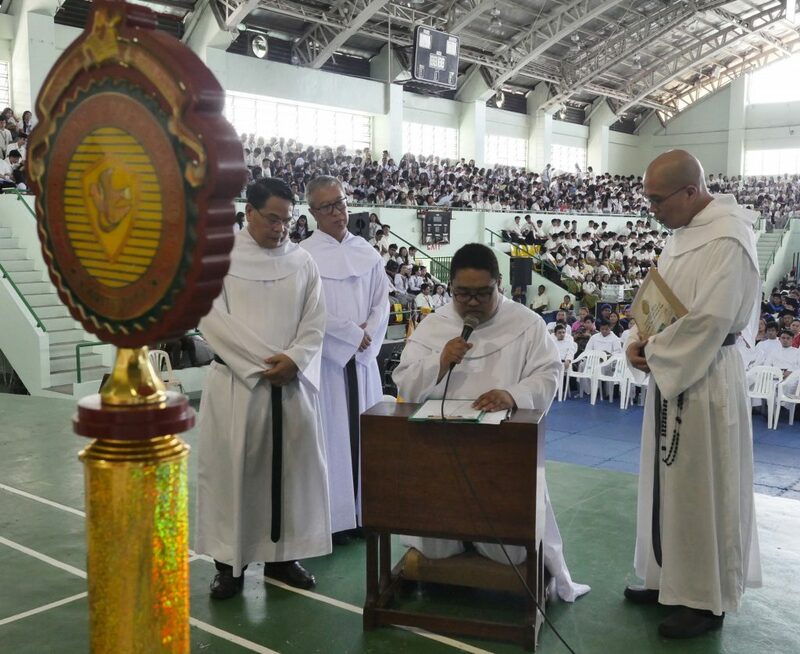 Held at the 4th Centennial Coliseum at SSC-RdC Cañacao Campus, the Mass of the Holy Spirit was presided by the Prior Provincial of the Province of St. Ezekiel Moreno, Fray Dionisio Q. Selma, OAR. 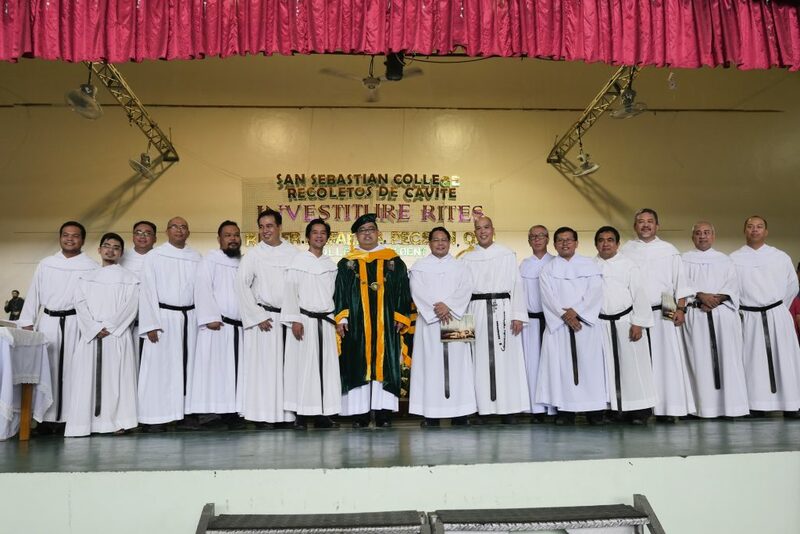 Together with him were the members of the community of Recoletos de Cavite; Fray William Emilito Villaflor, OAR, President of the Recoletos Educational Apostolate in the Philippines; Fray Cristituto Palomar, OAR, outgoing College President of SSC-RdC; and other priests and religious of the Order of Augustinian Recollects. After the celebration of the Holy Eucharist, the Rite of Investiture followed. 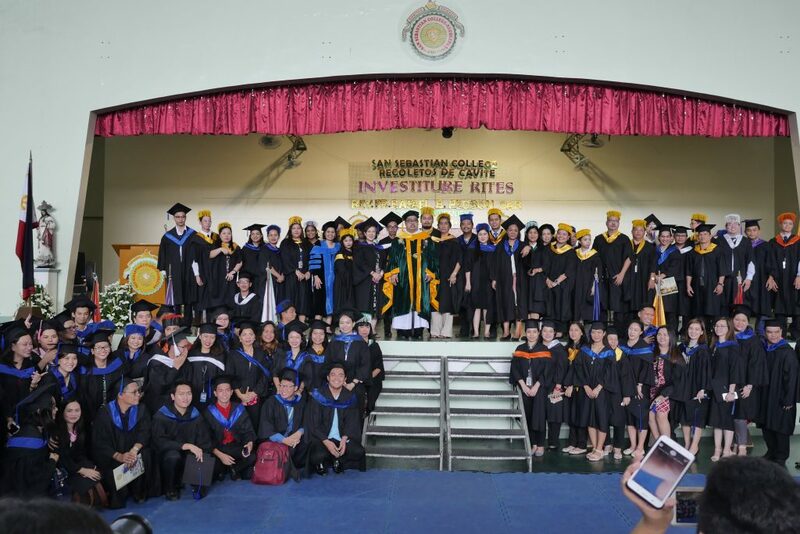 Donning their academic gowns, the faculty and staff of SSC-RdC marched forward. Fray Palomar gave his message as he thanked the community of SSC-RdC for the fruitful years he spent with them as their College President. 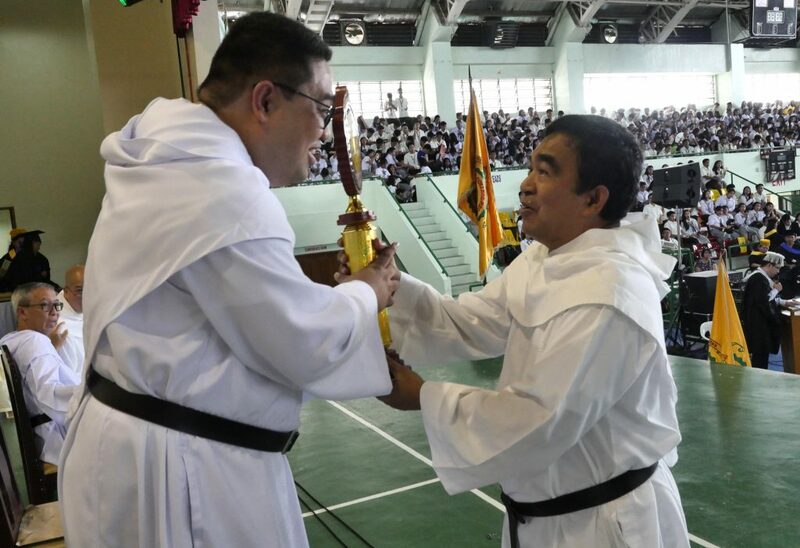 He then passed the President’s mace, symbol of the authority of the College President, to Fray Pecson. Fray Villaflor read the appointment letter of Fray Pecson as the new College President. After receiving the letter of appointment, Fray Pecson knelt for the Profesio Fidei. The religious and lay administrators of SSC-RdC gave Fray Pecson the President’s academic gown, the President’s medallion, the mace, SSC-RdC’s Vision-Mission, and the Duties and Responsibilities of the Office of the President. In his inaugural speech, Fray Pecson thanked the Almighty Father for allowing him to serve SSC-RdC as College President. He then cited the thrusts of the college: Institutional Excellence, Engaged Citizenship, and Integrated Formation. He also thanked the retired employees of SSC-RdC and included them in the programs of the college. Fray Pecson vowed to continue the legacies of his predecessors and to guide SSC-RdC towards the attainment of the new administration’s vision of being an icon of stability, creativity, and leadership. Present in the Rite of Investiture were the family and friends of Fray Pecson who came from his native place in Jolo, Sulu; the Augustinian Recollect priests, religious and Pre-novices; the Augustinian Recollect Sisters from Saint Joseph College, Cavite City; the members of the Secular Augustinian Recollect Fraternity Cavite Chapter; some members of the local government of Cavite City and representatives from the Department of Education; the lay administrators, teaching and non-teaching personnel, alumni, parents, and students of SSC-RdC.